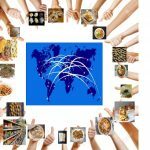 Food is one of few concepts that transcends borders and applies to humanity, almost universally. 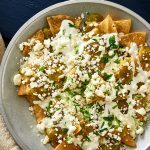 My unique involvement with food can certainly be considered holistic, given my immigration from São Paulo, Brazil to Boca Raton, FL at the age of 6. 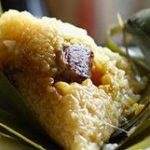 The intermingling of many food items was certainly common in my upbringing, but in this blog I will concentrate on some of the fundamental Brazilian dishes that still form part of my life today: feijoada (sort of like a bean stew-like dish), pão de queijo (cheese bread) and pudim de leite (similar to flan). These three Brazilian dishes have carried their weight in not just sustaining me, but bringing me genuine connection to my origins and my overall identity as a Brazilian immigrant. 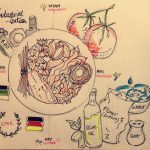 These food items have been integral in shaping Brazil as a country of rich, delicious food that is especially intermingled with its culture and history. Feijoada dates back to slavery in Brazil, when slaves would use the undesired parts of meat to make this highly nutritious bean-like stew. Pão de queijo’s origin is still uncertain, but it has paved its way to being an appetizer-like dish in almost every Brazilian community across the world. 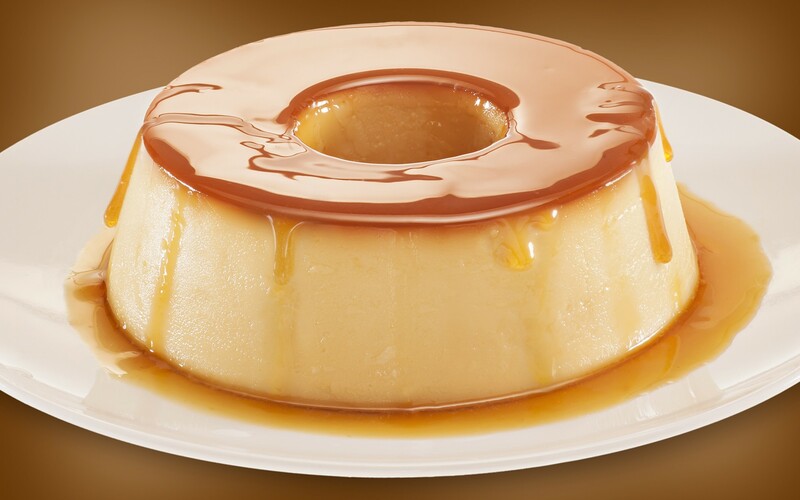 Lastly, pudim de leite conjoins Portugal and Brazil in a special manner, as this tasty dessert which was once a secret recipe has connected the former colony with its colonizer in an interesting way. Images of these dishes can be found above, respectively. 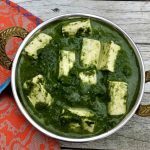 These food items represent a whole lot for me, and as foreshadowed earlier, they have helped me carve out my sense of self early on and have made their way in becoming a part of my everyday meals. Of course, the question that begs is: Why? 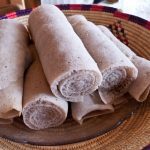 This is quite a complex question to answer because the reasonings that these foods were presented to me vary and as I think back, it was before my intellect was sharp enough to inquire what the relevance of these foods are. As I have matured and have decided to dig deeper into my cultural background as it pertains to food, I have discovered the prominence of these dishes in my south Floridian environment. 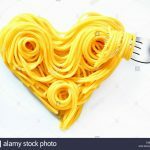 While of course these foods are Brazilian by birth, they have made their way across borders and have become ever so common here in the States, where Brazilian communities have arisen. In particular, Saturday’s are “feijoada” days in many Brazilian restaurants here in south Florida. Ever since my childhood, I’d frequently have this dish on a Saturday, but never caught on to the pattern until recently. Furthermore, Brazilians have a tendency to have a small “meal” between lunch and dinner, called café da tarde, which is sort of like a mid-afternoon coffee break. These “meals” often combine coffee with bread–almost always, during my upbringing, pão de queijo was present, and my eyes would sparkle in joy as I heard the oven *ding*, and I quickly raced to the kitchen to fearlessly devour them one-by-one, time after time again. For every savory dish, comes an even better sweet dish, so the Brazilian say. A complete meal was something that was constantly emphasized as I grew up; thus, I would look forward to eating pudim de leite after (almost) every meal (regardless if lunch or dinner), no matter the occasion. This dish represented a sense of completion for me, as it usually came last, and I was always the most excited to consume it. Pudim validated my Brazilian roots because it allowed me to “show off” my Brazilian roots by having friends join me in family events, special occasions or during a weekend trip to the Brazilian buffet 5 minutes from my house. 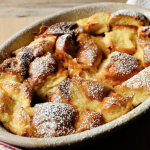 Not one non-Brazilian friend of mine disliked the dessert, and it allowed me to share a part of my culture with important people in my life, as it slowly became commonplace across south Florida, and even my classmates knew exactly what it was and how delicious it was. The combination of these three dishes represent my strong foundation in my Brazilian roots, and my ability to translate elements of my culture in such easy, simple ways. They are the reason for my confidence and my reverence for my culture and the place of my birth. As briefly mentioned earlier, these dishes in of themselves have also taught me historical lessons about their creation. 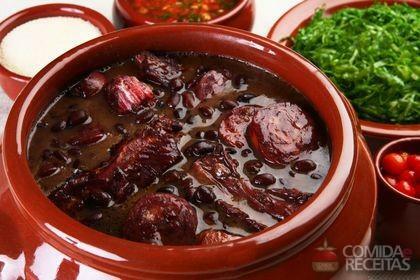 Feijoada is noteworthy for its connection to slavery and the abolishment of slavery, and ultimately, the survival of former slaves. The fact this dish has become so incredibly prominent across Brazil leads me to embrace it as part of my own diet even more because of how en sync it makes me feel with my Brazil, regardless of the distance that separates me from my home country. 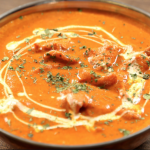 These are a couple of the dishes that will forever be a part of my life, and I will continue to introduce people to them–of course, for their tastiness, but more importantly, because of the door it can open in letting people understand another layer of my multi-faceted identity. The food scene in metro Atlanta intrigues me, too, because like south Florida, it is quite all encompassing and intertwined with history, immigration and culture. Particularly, I would like to hone in on Marietta as being a robust Brazilian hub that parallels my neighborhood in south Florida, given how many Brazilian restaurants and bakeries are around. This semester, I had the pleasure of attending a Brazilian restaurant with my Portuguese class, and believe it or not, we ate feijoada on a Saturday! Immediately, I felt a revitalized sense of connection with my culture that often starts to fade in bits and pieces, while I am at school. Conversing in my native language and absorbing the environment of the restaurant, I felt at home and at peace. The scents resonated with me because images of my mother and my grandmother cooking Brazilian food suddenly filled my mind, and I couldn’t help but feel joyous and thankful for who I was. 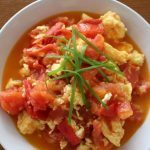 Moreover, the Atlanta food scene has taught me just how powerful food is in building community and bringing the sense of home to a possibly very foreign place for individuals. In my opinion, Buford Highway serves as a perfect example of how these communities culminate together and form connection. 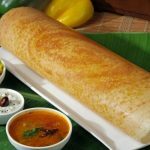 In a place where people are from every which corner of the world, Atlanta allows people to seek a piece of familiarity in terms of food. Whether it be Ethiopian, Korean, Brazilian or fusion-like combinations, Atlanta has exposed me to cultures I have never even previously heard of, all through the medium of food. To close out, I focus on one experience I had with exploring the food scene in Atlanta: I went to get pho with a friend of mine early during my first-year at Emory on Buford Highway, and one of the managers came over to my table and whispered to us that “college students are lucky to be able to taste some of the world’s best food right at their fingertips.” Right after this comment, I took a hearty spoonful of my pho, and I silently agreed because he was absolutely correct–that pho was fantastic, and it was the first time, I’ve ever had pho. Thus, during that moment, I made a vow to continue exploring and making the most of the foodie hub we are fortunate to have in Atlanta. PS: Click here for a pão de queijo recipe. It’s fantastic, and you will not regret making it. My Family used to share the same meal at a diner more often when I was young; however, as I grow up, my family started to have different dietary restrictions due to my mom’s belief in one’s physical constitution, which resulted in two separate meals served on one dining table. Physical constitution that our family considers is one of the Asian medical treatment. The food and dietary restrictions are the core part of such treatment. There are 8 physical constitutions, and each has different food that is strongly suggested and avoided. According to the theory, my mom and two sisters should eat seafood and refrain from eating meat. My father, brother, and I should eat meat and avoid seafood. 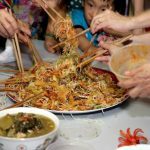 Since the chief of our family is my mom, who is a firm believer in such theory, it became less often to share the same meal on one dining table. 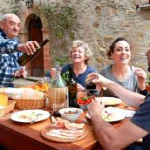 Instead, two meals were always served for two groups in our family, so it is difficult to define the foods that represent our family. 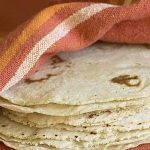 However, there are some foods that we still share regardless of such dietary restrictions and some foods that I loved to share with my family. The first food that I want to introduce is called Tteokbokki, also known as stir-fried rice cakes. There are different types of Tteokbokki such as soy sauce Tteokbokki, black Tteokbokki, and oil Tteokbokki. Among those, the most commonly found is chili-paste Tteokbokki. 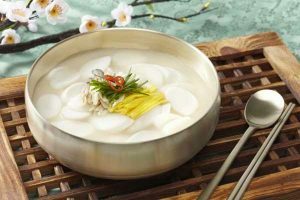 It is known as a representative Korean street-food eatery and is made of rice cake, fish cake, vegetables, and chili paste. The second to introduce is Tteokguk is rick cake soup. This is a traditional Korean food that people usually enjoys in New Year because the food symbolizes getting a year old. Tteokguk is traditionally made of rice cake, beef or oyster, and eggs. 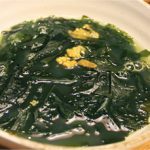 Last to present is Miyeokguk, a seaweed soup, which is made with seaweed, beef or oyster, and anchovy. 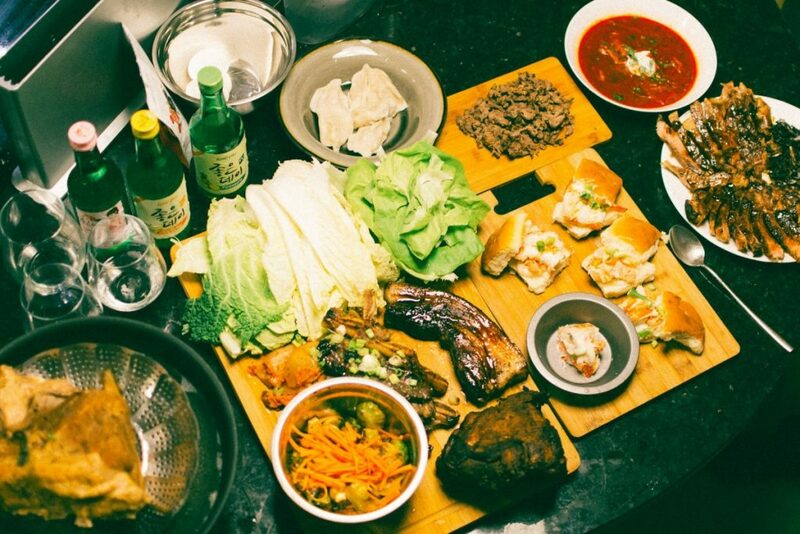 This is the traditional food that Koreans eat on birthdays. Tteokbokki is the food that misses eating the most when I am abroad. From a young age, I studied abroad in the United States without my parents. When I visit Korea during breaks, the first thing I would ask for my mom is to cook Tteokbokki. It also reminds me of spending two years together with my sister in high school. These two years were the most heartwarming moment of my life. I depended on her for two years. She was a friend, a sister, and a parent to me. After school, we would cook Tteokbokki at dormitory kitchen since we could not buy Tteokbokki near the school as we used to do in Korea. When I went to school in Korea, my friends and I would always eat Tteokbokki no matter we are full or hungry after school. It was just a relaxing and pleasurable time spending with my friends after school. 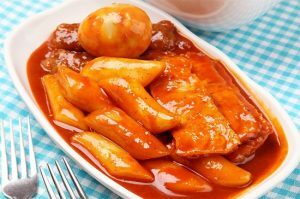 Tteokbokki is the food that is full of heartwarming school years’ memories. 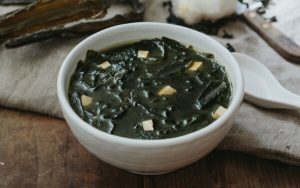 Tteokguk, to some Koreans, is a special meal that people eat on New Years, but to our family, it is a typical breakfast meal that we eat at least twice a week. 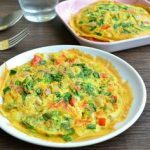 The ingredients are easy to find, and it is simple to cook. Also, it is easy to adjust the dietary restrictions. 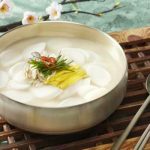 After preparing the basic Tteokguk without beef and oyster, my mom would serve Tteokguk with meat on top of the soup and boil again with oyster for 2minutes. 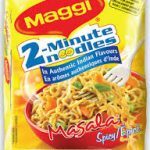 This is almost the only food that all of our family members would all be able to eat at the same time. 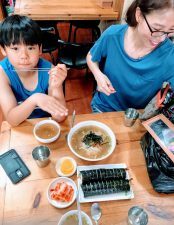 Miyeokguk is my favorite Korean soup and is special to me because my mom used to cook for me on my birthdays. However, for six years, I have not eaten Miyeokguk on my birthday because my birthday is in during the school year. I hope I can go back to Korea soon on my birthday and enjoy my birthday Miyeokguk. I have only been to Atlanta for one year, but what I find most interesting is developed food culture from different ethnic communities. 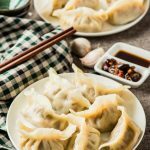 I have been Chinese and Japanese restaurants only a few times in Atlanta, but I am already in love with a unique spiciness of Chinese cuisine and sophisticated taste of Japanese dish. Among different ethnic communities in Atlanta, the most I have experienced is Korean community. Since I went to high school with small Korean society, I was surprised how Korean community and restaurants in Atlanta is well developed. The food in Korean restaurants in Atlanta tastes the same as in Korea. 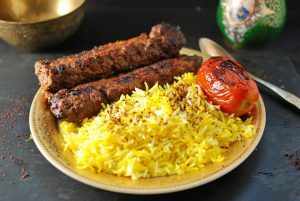 Not only the taste but also the diversity of the food is astonishing. The people in the community are also friendly and welcoming. During weekends, I visited Korea town with my friends to distress and shared food and stories. Next year in Atlanta, I want to explore more about other ethnic communities. I was born and raised in the South-Eastern part of China, in a city called Wuxi. People in my home city like adding a little bit sweetness to whatever food they are cooking to make the dish taste better. They refers this way of cooking as 提鲜. 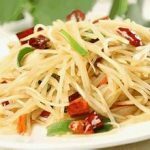 Also, unlike people in the Northern or Western part of China, rice instead of noodles is the staple food and there are a lot of dishes made of rice in my home city. 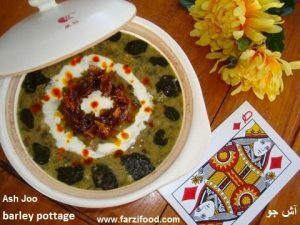 Bearing my cultural background and the unique cooking style in my home city, I will first introduce some foods which that are important to me and represent my family as well as my cultural backgrounds. 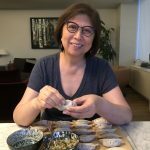 Mini soupy bun – 小笼包, rice dumpling with meat and egg yolk – 蛋黄肉粽, and green dumpling – 青团are very unique foods in my home city and can best represent my cultural background. Mini soupy bun is a very famous dish in Jiangnan area, and has a deep historical background. The appearance of mini soupy bun in Wuxi can be traced to Qing Dynasty. Qianlong Emperor, one of the emperors in Qing Dynasty, came to Wuxi during his cruise in Jiangnan area. 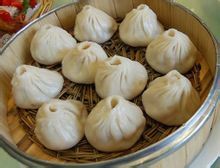 He went to a garden called Qinyuan – 秦园, and tried mini soupy bun there. He was amazed at the taste immediately mini soupy bun from Wuxi became famous all around the country. 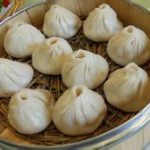 Although there are different styles of mini soupy bun in different cities such as Shanghai, Changzhou and Nanxiang in Jiangnan area, mini soupy bun in Wuxi is unique to me since it incorporates the cooking style in my home city. It is sweeter than those in other cities and is a perfect combination of sweetness and delicacy. 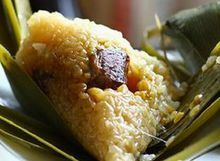 Rice dumpling is the traditional food for Dragon Boat Festival. According to the historical documents, Quyuan, both a politician and a poet from Chu – a country in Zhanguo period, was exiled by the emperor. He was very upset and drown himself in Miluo River. 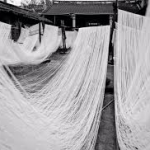 He was highly respected by citizens in Chu, and they threw rice dumplings into the river to prevent fishes from consuming his body. Also, they used boats to find his body. 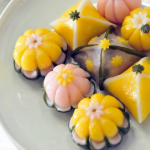 Thus, people commemorate Quyuan on Dragon Boat Festival and rice dumpling becomes a symbolic food for the festival. 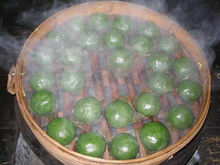 Green dumpling is the traditional food for Thom-sweeping Day when people commemorate the dead in Jiangnan area. According to the legend, Li Xiucheng, the leader of Taiping Kingdom of Heaven (from 1851-1864), was chased by the army directed by the emperor from Qing Dynasty on the Thom-sweeping Day. He was camouflaged as a farmer and the army did not find him. However, the army checked everyone to prevent farmers from bringing food to Li. 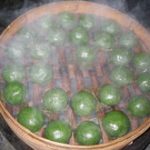 A farmer mixed the juice of Chinese mugwort – 艾草, to make the dumpling look like grass, and brought green dumpling to Li. Li survived after he was fed on the green dumpling. Later, he made eating green dumpling on Thom-breading day a rule. This legend is not verifiable in any historical documents but eating green dumpling on Thom-sweeping Day has become the tradition in my home city. It is made of rice and the stuffing is always the red bean paste. 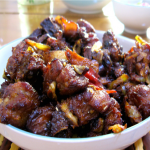 It may be too sweet for people from the Northern part of China, but it represents the cooking style in Jiangnan. In a conclusion, mini soupy bun from Wuxi, rice dumpling and green dumpling can represent my cultural background due to their deep historical backgrounds and unique cooking style. 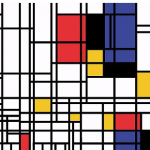 There is a rich variety of ethnic groups in Atlanta and the Black is the major ethic group. Unfortunately, I never tried food from the black community. When I stay in Atlanta, Asian food especially Chinese food and Korean food is always my top choice. Besides, I tried several Italian restaurants. I used to take a Math class and the professor is an Italian. She recommended some authentic Italian restaurants to me and my favorite one is called Ribalta in downtown Atlanta. I love the pasta in this restaurant, but I do not think pizza there is authentic. When I was in Italy, I found there was no protein but only veggies and cheese in pizza. However, every kind of pizza in Ribalta has protein. Funnily enough, the food that represents my family the best is a type of Chinese food called Jajangmyeon (짜장면, 炸酱面). Jajangmyeon is a Korean Chinese noodle dish topped with a thick sauce made of black bean paste, diced pork, and vegetables. 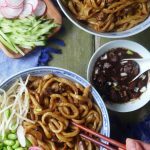 My earliest memory of Jajangmyeon dates back to 2000 when my mom and I moved into a new house in Seoul; owning a home of our own was her dream for years. With paintbrush and wallpapers still lying on the floor, I vividly remember slurping the noodles, savoring the sweet and spicy taste hinted with the smell of wet paint. In the 1980s, Jajangmyeon was often associated with celebratory occasions, such as graduation and birthday. 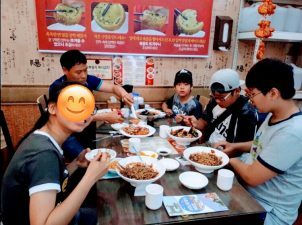 Growing up in poverty, my mother could not afford the luxury of jajangmyeon; instead, she would tag along other families to have a bite or two. 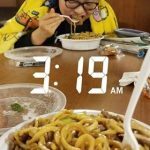 Ordering jajangmyeon on the day we bought a house was her flare of perseverance and patience. 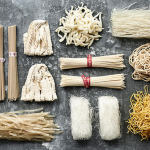 Handing me a plateful of noodles, she said: “We did it.” Since then, my family would often order black bean paste noodles whenever we wanted to celebrate. 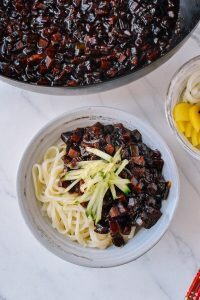 Jajangmyun is by no means a fancy dish — originated from the Shandong Province of China, it was first introduced in Korea at a small restaurant in Incheon Chinatown to feed the factory workers. 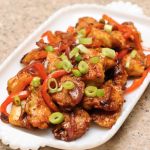 Huagyo (華僑, Chinese immigrants) used local ingredients to emulate the taste of their hometown. In a way, Jajangmyun symbolizes the Chinese immigrants’ triumph in Korea and the way in which they seamlessly adapted to tough circumstances. This seemingly simple and insignificant dish would again prove its significance to me when my family moved to Taipei in 2010. Near my house was one of my favorite beef noodle soup restaurants. It was only after a couple of years that my Chinese was proficient enough to ask the owner for recommendations. What came after her strong suggestion blew us away — it was the jajangmyun! 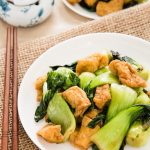 The appearance was very similar — topped with cucumber and diced pork, the only difference was the use of diced tofu and the color. My mom, at the time having difficulty in everyday life due to a language barrier, made the Korean jajangmyun at home and gave it to the restaurant owner the next day. Later, they would become good friends, and I visit the store every time I go to Taiwan. Jajangmyun, just like its genesis, presented itself as the gateway for us to mingle with the foreign setting. Atlanta boasts one of the most diverse food scenes in the United States. 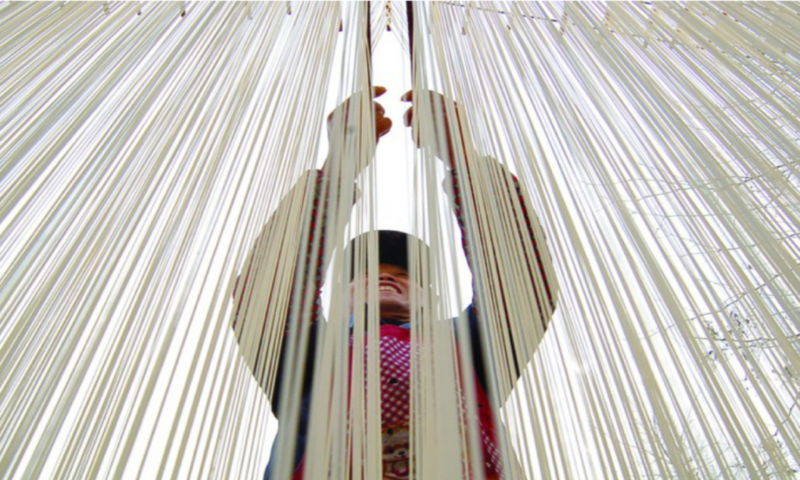 Buford Highway, in particular, is known for its vibrant mishmash of culture. While the neighborhood is home to many authentic Korean, Chinese and Vietnamese restaurants, its farmers’ market has products from all over the world. 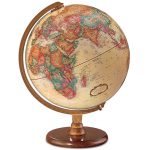 The products are organized by their country of origin, from Central and South America to Southeast Asia, Eastern Europe, and the Caribbean. When my friends from Ukraine, India, and Russia decided to cook together, we all went to the Buford Farmers’ Market and bought gochujang, сало and Ukrainian rye bread, and panipuri. 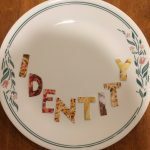 “You are what you eat” — food, for me, was a starting point for me to curb my judgments. It is a reminder to myself to keep an open mind. 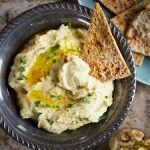 Atlanta’s diverse food scene allowed me to explore culturally and the valuable friendships molded over cooking food are priceless. 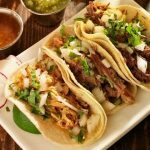 The food in Atlanta is an incredible asset to the various demographic Atlanta possesses and also educates and expands the palates of those who have yet to experience many global cuisines. 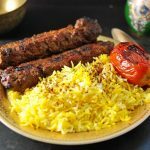 The global dishes that I ate in Atlanta nurtured cultural understandings within me and made who I am today. I am very excited to explore the intersection of food and culture in this class. 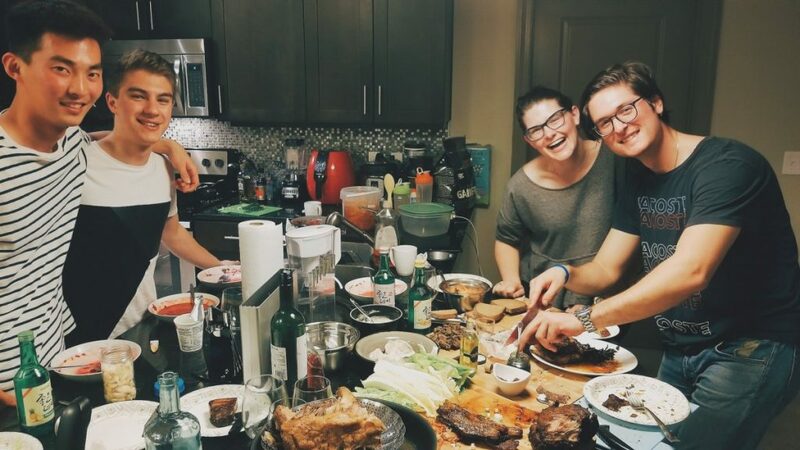 My friends and I cooked Chinese, Russian, French, Ukranian, Korean dishes for this year’s Lunar New Year. More cooking photos to come with future blog posts!